Royal Enfield launched the all-new Interceptor and the Continental GT last year in the Indian market. The all-new bikes are powered by an all-new engine that gets a dual exhaust system. Royal Enfield bikes are one of the most modified motorcycles in the Indian market, and for the all-new 650 twins, there are already a few aftermarket exhausts available in the market. 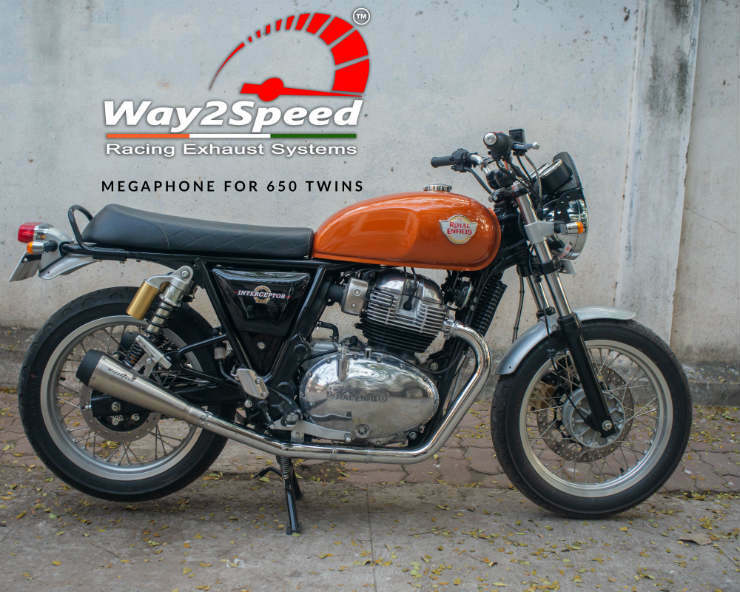 Way2Speed, a well-known brand that has been associated with Royal Enfield aftermarket performance exhausts for a long time have launched three different exhausts for the 650cc bikes. Here are all the details. Way2Speed has launched three different exhausts for the bikes, and all of them are priced at Rs. 12,999 plus shipping. The shipping charges can be varied depending on the location of the customer. The development of the new exhausts have taken three months, and as per the maker, it increases the performance and enhances the exhaust note of the vehicle without affecting the fuel efficiency of the bike. The Way2Speed exhaust looks quite good and gets a matte black finish on the muffler, which gives it a brilliant and premium look. One of the exhausts from the line-up gets a full chrome paint job, which will suit the riders who want their motorcycles to remain shiny and attractive. There is no difference between the performance or the sound effects of the three different kinds of exhausts. The only change is in the appearance of the exhausts. The video gives an indication of how good they sound. 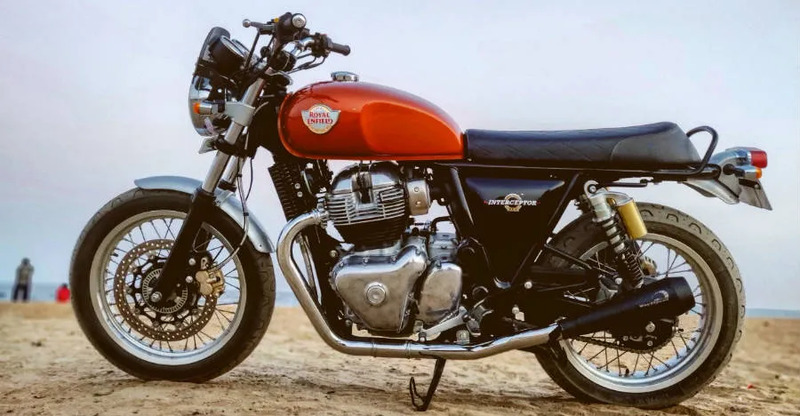 The all-new Royal Enfield Continental GT and the Interceptor are powered by an all-new 650cc, parallel-twin, air-cooled engine that sounds very different from the thumping single-cylinder Royal Enfield motorcycles. The thumping sound of the Royal Enfield bikes have become a signature, and there are many who buy the bikes just for the thump. However, the all-new Royal Enfield motorcycles do not offer any such thump. Instead, they sound like a slow rumble. The engine produces a maximum power of 47 Bhp and a peak torque of 52 Nm. We are not sure how much the engine gains after the installation of the new aftermarket Way2Speed exhausts. Both the bikes offer two individual exhausts on each side of the bike, which makes it look quite good and classy. Way2Speed has also not mentioned anything about the weight of the new aftermarket exhausts. The stock Royal Enfield exhausts are quite heavy and cumbersome, and the aftermarket exhausts increase the performance by decreasing the weight of the exhaust among other things. It should be noted that many Royal Enfield bikes are targeted for installing aftermarket exhausts. There is no information on the legality of these exhausts. Aftermarket exhausts are banned in India as they do not comply with the noise level set by the government. But we are not sure if these exhausts are compliant with the noise level set by the government. Please check with the manufacturer directly before ordering the exhausts.